SIX P&O Cruise Ships have berthed at Auckland Point this year carrying a maximum of 2000 people but the vision is to attract vessels with more than 5000. Research from the first cruise ship showed 90% of the 2000 passengers left the ship and spent an average of $103 in Gladstone retail stores, an increase in the number of passengers from 2000 to 5000 would be a cash injection. MASTER PLAN: Gladstone Ports Corporation's 'master plan' for the city's cruise ship industry. GPC chief executive officer Peter O'Sullivan is also working with different cruise ship companies to secure more arrivals. "We're continuing to talk to a number of cruise liners, they vary from the P&O vessels to some quite large vessels," he said. "We can take quite large vessel, up to 300m, but for the really large vessel with about 5000 passengers, we have to do a little bit of work with them, strengthen of the bollards, and the length of the birth." MASTER PLAN: Artist impression of Gladstone's 'cruise ship hub'. That would include vessels like the Royal Caribbean's $1.3 billion mega-liner "Ovation of the Seas" which will be docked in Brisbane on February 22. It will be the largest cruise ship ever to be based in Australia and Mr Pitt said the economic affect of the new cruise liner terminal in Brisbane would flow to all the ports in Queensland. MASTER PLAN: Artist's impression of Auckland Point's 'cruise ship hub'. Mr O'Sullivan mentioned the 5000 passenger number again when he said the current car park at Auckland Point couldn't handle 5000 passengers. GLADSTONE Ports Corporation's chief executive officer Peter O'Sullivan expects to secure funding for a $3.5 million transport hub at Auckland Point by the end of the year. In a joint announcement with Acting Premier Curtis Pitt, Mr O'Sullivan said he also expects to begin construction of the multi-million-dollar project by next year. 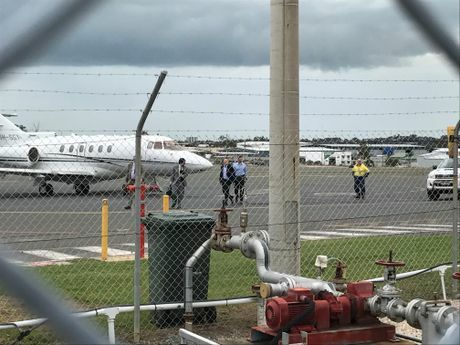 Treasurer arrives in Gladstone : Treasurer Curtis Pitt has landed in Gladstone on the premier's private plane. Treasurer Pitt said he was "very impressed" by the plan for the transport hub, which would facilitate cruise ships carrying 5000 passengers. The biggest cruise ship to come to Gladstone so far has carried 2000 passengers. 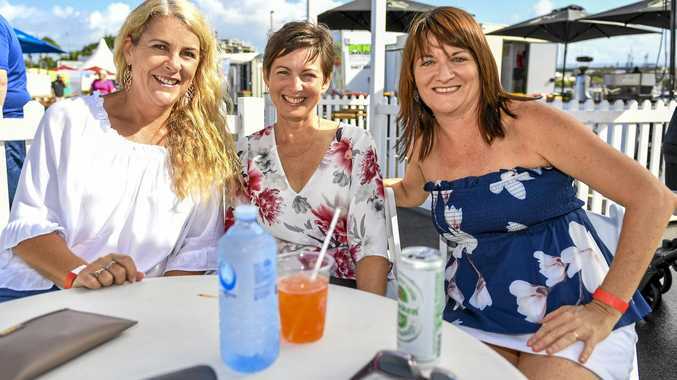 The proposed centre will prove a drawcard for multi-billion-dollar cruise ship companies and tourists alike, as it will provide fast-tracked access to tours of the region and reef. The project will also include an upgrade to Flinders Parade Road. Member for Gladstone Glenn Butcher said "watch this space" and expected a solid commitment from the premier shortly. QUEENSLAND Treasurer Curtis Pitt is expected to make an announcement on a new initiative with the Gladstone Ports Corporation (GPC) within moments. The Treasurer, currently the Acting Premier, and GPC chairman Leo Zussino, are now touring the area at East Shores. Treasurer's helicopter ride over Boyne Smelters: Acting Premier Curtis Pitt takes a helicopter ride around the region. The expected announcement comes at the end of Mr Pitt's helicopter tour of the Gladstone region this afternoon. ACTING Premier Curtis Pitt has just touched down in the premier's private plane in Gladstone. The Queensland Treasurer is expected to take a helicopter ride around Gladstone Port. TOUCH DOWN: Treasurer arrives on premier's private plane. He will then hold a press conference at 3pm at East Shores. Acting Premier's Gladstone heli-tour: Treasurer Curtis Pitt is on a helicopter tour around Gladstone.